Ashley Murphy grew up in Metamora, Illinois, but now lives in Henry. 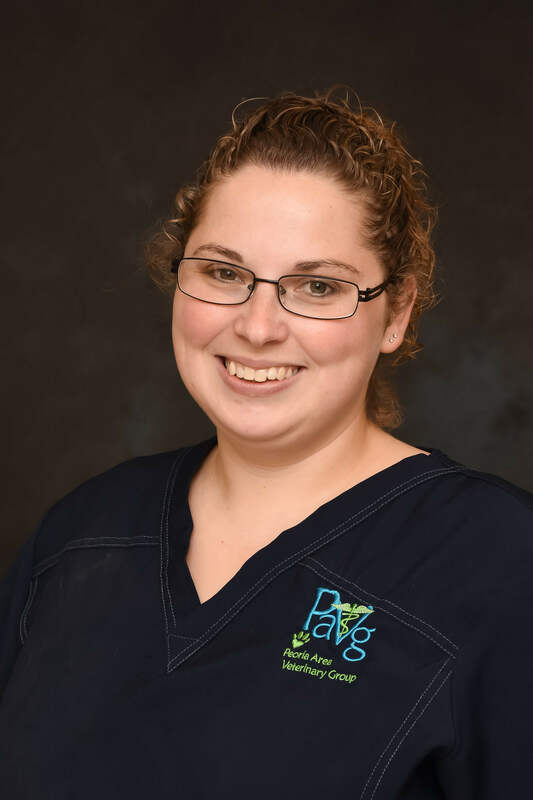 Ever since she was young, she always knew that her love of animals would one day lead to her having a career in this field, and we’re happy to have her at PAVG! Ashley currently lives with her husband and three dogs—Bailey, a Black Lab who loves hunting, Cocoa, a Chocolate Lab who is a couch potato and Gauge, a bloodhound who always seems to be getting into mischief. Along with these three doggies, Ashley also has a bunny named Arlo. In her free time, she enjoys spending time outside with her husband and her son, and of course all her animals.